The official DVSA 2017-2018 pass rates and addresses for your local driving test centres East Midlands. Want to know the most recent 2018 pass rates and routes for your local East Midlands test centre? Lincolnshire. DVSA Practical Driving Test Centres. Boston Practical Driving Test Centre. Driving Test Pass Rates Boston Driving Test Centre. New 2017-2018 Car Pass Rate is only 52.6% or by simply using The Driving Test Secret you can this increases to 77.6%*, what are you waiting for? Want to pass your driving test 1st time? Click here for information on how you can pass your driving test 1st time by using DVSA ADI devised The Driving Test “SECRET”. Grantham (Somerby) Practical Driving Test Centre. Driving Test Pass Rates Grantham Driving Test Centre. New 2017-2018 Car Pass Rate is only 47.6% or by simply using The Driving Test Secret you can this increases to 72.6%*, what are you waiting for? Want to pass your driving test 1st time? Click here for information on how you can pass your driving test 1st time by using DVSA ADI devised The Driving Test “SECRET”. Grimsby Coldwater Practical Driving Test Centre. Driving Test Pass Rates Grimsby Driving Test Centre. New 2017-2018 Car Pass Rate is only 45.4% or by simply using The Driving Test Secret you can this increases to 70.4%*, what are you waiting for? Want to pass your driving test 1st time? Click here for information on how you can pass your driving test 1st time by using DVSA ADI devised The Driving Test “SECRET”. Scunthorpe MPTC Practical Driving Test Centre. Driving & Vehicle Standards Agency Onward Way Off Warren Road Scunthorpe DN15 6XH. Additional information: Toilets facilities are available. Car parking spaces are available. Driving Test Pass Rates Scunthorpe Driving Test Centre. New 2017-2018 Car Pass Rate is only 47.1% or by simply using The Driving Test Secret you can this increases to 72.1%*, what are you waiting for? Want to pass your driving test 1st time? Click here for information on how you can pass your driving test 1st time by using DVSA ADI devised The Driving Test “SECRET”. Lincoln MPTC Practical Driving Test Centre. Driving & Vehicle Standards Agency Earlsfield Close Off Sadler Road Lincoln LN6 3RT. Driving Test Pass Rates Lincoln Driving Test Centre. New 2017-2018 Car Pass Rate is only 49.6% or by simply using The Driving Test Secret you can this increases to 74.6%*, what are you waiting for? Want to pass your driving test 1st time? Click here for information on how you can pass your driving test 1st time by using DVSA ADI devised The Driving Test “SECRET”. Louth Practical Driving Test Centre. Other notes: Please report to the reception of the leisure centre where you will be asked to wait for your examiner. Driving Test Pass Rates Louth Driving Test Centre. New 2017-2018 Car Pass Rate is only 53.9% or by simply using The Driving Test Secret you can this increases to 78.9%*, what are you waiting for? Want to pass your driving test 1st time? Click here for information on how you can pass your driving test 1st time by using DVSA ADI devised The Driving Test “SECRET”. Skegness DVSA Practical Driving Test Centre. Driving Test Pass Rates Skegness Driving Test Centre. New 2017-2018 Car Pass Rate is only 58.4% or by simply using The Driving Test Secret you can this increases to 83.4%*, what are you waiting for? Want to pass your driving test 1st time? Click here for information on how you can pass your driving test 1st time by using DVSA ADI devised The Driving Test “SECRET”. Nottingham (Colwick) MPTC Practical Driving Test Centre. Private Road No 5 Colwick Industrial Estate Nottingham NG4 2JU. Driving Test Pass Rates Nottingham (Colwick) Driving Test Centre. New 2017-2018 Car Pass Rate is only 46.5% or by simply using The Driving Test Secret you can this increases to 71.5%*, what are you waiting for? Want to pass your driving test 1st time? Click here for information on how you can pass your driving test 1st time by using DVSA ADI devised The Driving Test “SECRET”. Nottingham (Clifton) MPTC Practical Driving Test Centre. Driving Test Pass rates Nottingham (Clifton) Test Centre. New 2016-2017 Car Pass Rate is only 45.3% or by simply using The Driving Test Secret you can this increases to 70.3%*, what are you waiting for? Want to pass your driving test 1st time? Click here for information on how you can pass your driving test 1st time by using DVSA ADI devised The Driving Test “SECRET”. Nottingham (Chilwell) Practical Driving Test Centre. Driving Test Pass rates Nottingham (Chilwell) test centre. New 2017-2018 Car Pass Rate is only 40.7% or if you really need to pass you can increase this to 65.7% by using The Secret*, what are you waiting for? Want to pass your driving test 1st time? Click here for information on how you can pass your driving test 1st time by using DVSA ADI devised The Driving Test “SECRET”. Ashfield DVSA Practical Driving Test Centre. Ground Floor, Sherwood House, Off Coxmoor Road Sutton-in-Ashfield Nottinghamshire NG17 5LA. Additional information: Car parking spaces are available. Please note there are no car parking spaces available. Driving Test Pass Rates Ashfield Driving Test Centre. New 2017-2018 Car Pass Rate is only 58% or by simply using The Driving Test Secret you can this increases to 83%*, what are you waiting for? Want to pass your driving test 1st time? Click here for information on how you can pass your driving test 1st time by using DVSA ADI devised The Driving Test “SECRET”. Worksop Practical Driving Test Centre. Unit 4 The Point Coach Road Shireoaks Worksop Nottinghamshire S81 8BW. Additional information: Car parking spaces are available. Toilet facilities are available. Driving Test Pass Rates Worksop Driving Test Centre. New 2017-2018 Car Pass Rate is only 56% or by simply using The Driving Test Secret you can this increases to 81%*, what are you waiting for? Want to pass your driving test 1st time? Click here for information on how you can pass your driving test 1st time by using DVSA ADI devised The Driving Test “SECRET”. 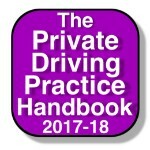 Derbyshire DVSA Practical Driving Test Centres. Burton on Trent MPTC Practical Driving Test Centre. Wellington Road Burton on Trent Derbyshire DE14 2TG. Driving Test Pass Rates Burton on Trent Driving Test Centre. New 2017-2018 Car Pass Rate is only 55.9% or by simply using The Driving Test Secret you can this increases to 80.9% by using The Secret*, what are you waiting for? Want to pass your driving test 1st time? Click here for information on how you can pass your driving test 1st time by using DVSA ADI devised The Driving Test “SECRET”. Buxton Practical Driving Test Centre. The Dairy 7 Green Lane Buxton SK17 9DS. Driving Test Pass Rates Buxton Driving Test Centre. Chesterfield Practical Driving Test Centre. Bus Garage Approach Road Stonegravels Chesterfield S41 7LF. Driving Test Pass Rates Chesterfield Driving Test Centre. New 2017-2018 Car Pass Rate is only 46.2% or by simply using The Driving Test Secret you can this increases to 71.2%*, what are you waiting for? Want to pass your driving test 1st time? Click here for information on how you can pass your driving test 1st time by using DVSA ADI devised The Driving Test “SECRET”. Derby (Alvaston) Practical Driving Test Centre. Driving Test Pass Rates Derby (Alvaston) Driving Test Centre. New 2016-2017 Car Pass Rate is only 46.7% or by simply using The Driving Test Secret you can this increases to 71.7%*, what are you waiting for? Want to pass your driving test 1st time? Click here for information on how you can pass your driving test 1st time by using DVSA ADI devised The Driving Test “SECRET”. Leicestershire DVSA Practical Driving Test Centres. Hinckley Practical Driving Test Centre. 33 Brookside Hinckley Leicestershire LE10 2TG. Arrangements can be made at this test centre if you have a disability. Please contact the DVSA to arrange prior to your test. Driving Test Pass Rates Hinckley Driving Test Centre. New 2017-2018 Car Pass Rate is only 43.8% or by simply using The Driving Test Secret you can this increases to 68.8%*, what are you waiting for? Want to pass your driving test 1st time? Click here for information on how you can pass your driving test 1st time by using DVSA ADI devised The Driving Test “SECRET”. Leicester (Cannock Street) Practical Driving Test Centre. Driving Test Pass Rates Leicester (Cannock Street) Driving Test Centre. New 2017-2018 Car Pass Rate is only 36.5% or by simply using The Driving Test Secret you can this increases to 61.5%*, what are you waiting for? Want to pass your driving test 1st time? Click here for information on how you can pass your driving test 1st time by using DVSA ADI devised The Driving Test “SECRET”. Leicester (Wigston) MPTC Practical Driving Test Centre. Tigers Road, Off Saffron Road South Wigston Leicester LE18 4WS. Additional information: There is Wheelchair access to this test centre. Car parking spaces are available. Driving Test Pass Rates Leicester (Wigston) Driving Test Centre. New 2017-2018 Car Pass Rate is only 43.4% or by simply using The Driving Test Secret you can this increases to 68.4%*, what are you waiting for? Want to pass your driving test 1st time? Click here for information on how you can pass your driving test 1st time by using DVSA ADI devised The Driving Test “SECRET”. Loughborough DVSA Practical Driving Test Centre. Driving Test Pass Rates Loughborough Driving Test Centre. Melton Mowbray DVSA Practical Driving Test Centre. Additional information: Toilet facilities are not available. Car parking spaces are available. Driving Test Pass Rates Melton Mowbray Driving Test Centre. New 2017-2018 Car Pass Rate is only 55.4% or by simply using The Driving Test Secret you can this increases to 80.4%*, what are you waiting for? Want to pass your driving test 1st time? Click here for information on how you can pass your driving test 1st time by using DVSA ADI devised The Driving Test “SECRET”. 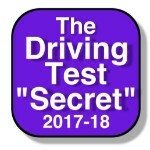 * Or you can increase this to –% higher (driving test centre pass rate) if you use The Driving Test “Secret” is based on the findings of an experienced DVSA ADI who saw their pupils pass rate increase by over 25% when they started recommending the Driving Test Secret & Secret Revision Cards to all of their pupils.